Well, it didn't take long, but this circus has completely gone of the rails. The lions and tigers are long gone, but it was never really a good idea to keep them around anyways. The ringmaster ran off to some foreign country with their assistant, and the trapeze artists loaded up their van and went back to Sheboygan, Wisconsin. And the clowns. Don't even get us started on the clowns. They were reluctant to leave, and when they realized they were the only ones left under the big top, well, let's just say that it went to their heads. They're running the show now, and it's not fun and games anymore, it's all about torture and pain. If you think that sounds bad, there's one of them who's particularly diabolical. A cut above the rest. 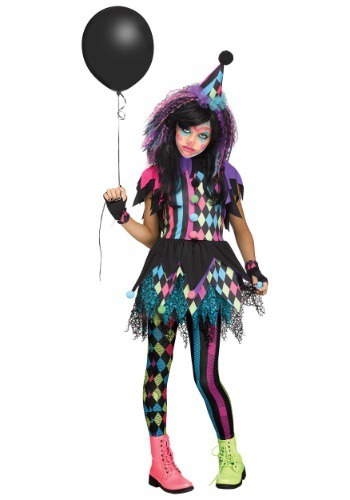 A truly twisted clown sister! The call her the "Twisted one" and she has no qualms about turning the bestest show on earth into a truly grotesque affair. And naturally, she's built up such a reputation that we hear little girls around the nation are ready to adopt her warped ways. 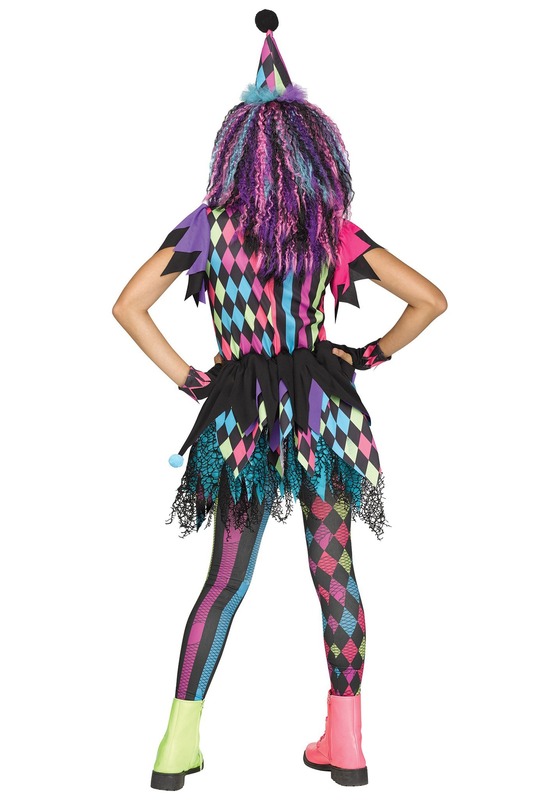 And if your girl has that kind of mindset, well, then it's time to grab her this twisted circus clown costume to let her join the clown club! Styled as a dress with matching tights, this circus-girl-gone-bad look is the perfect way for any little girl to make a statement. A statement that it's time for clowns to be in charge! With a vibrant color scheme and mesh overlays, it's a fun way to become one of the bad guys. And we're not necessarily saying she has to be a villain. She could try to turn the group of evil clowns back around and be whimsical and jolly. But what's the fun in that?